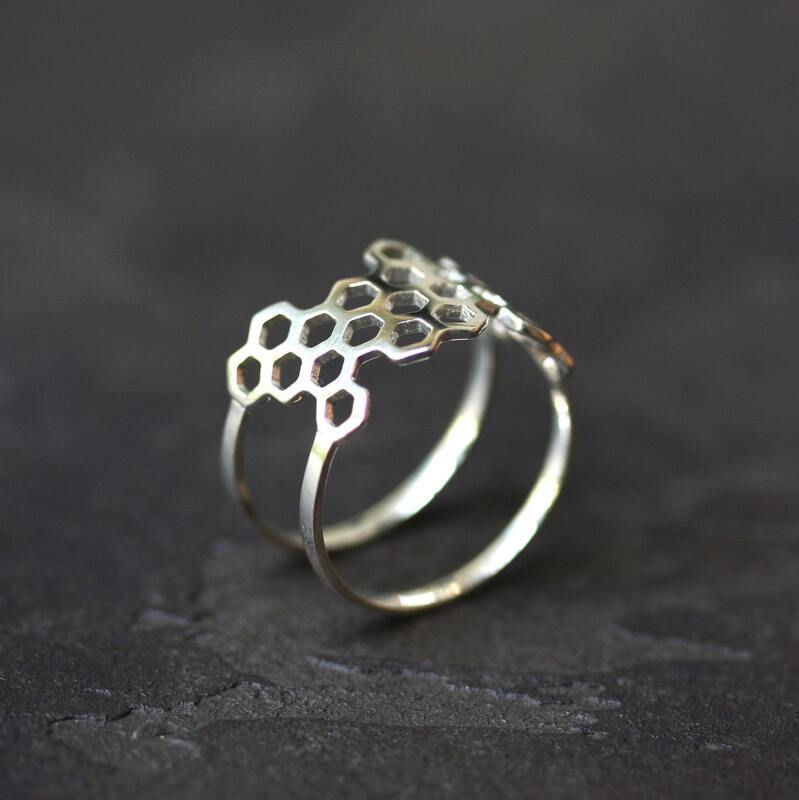 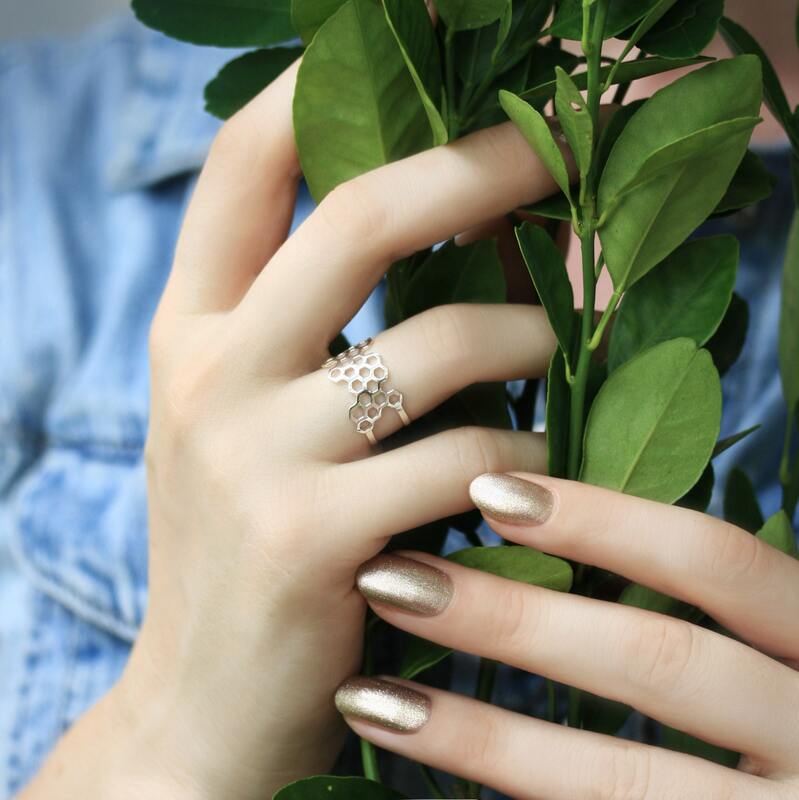 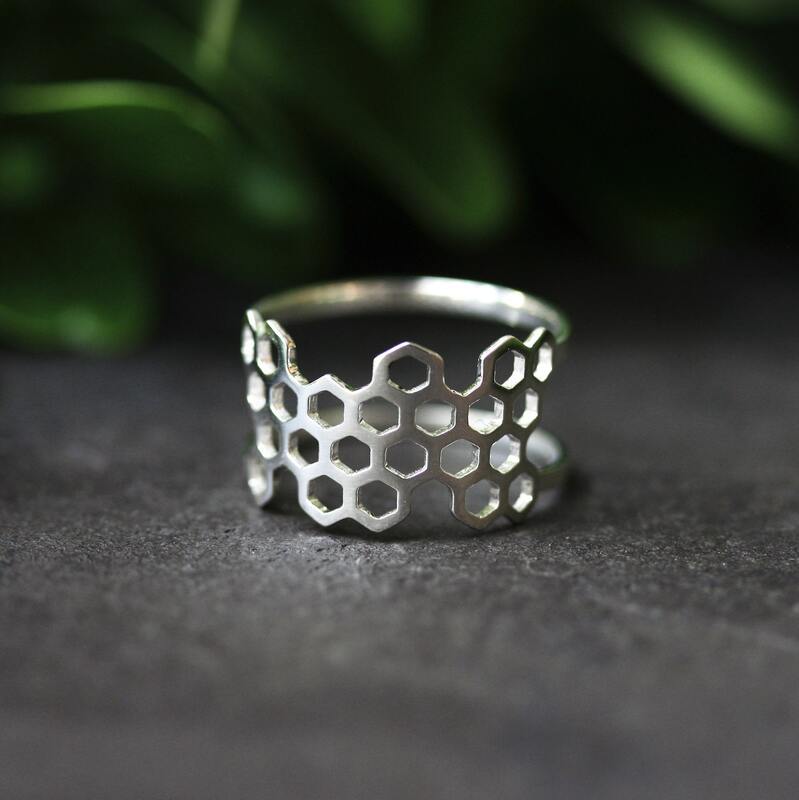 Since botanical jewelry was so popular lately - our simple 3D Printed Honeycomb ring became the most loved piece by our customers! 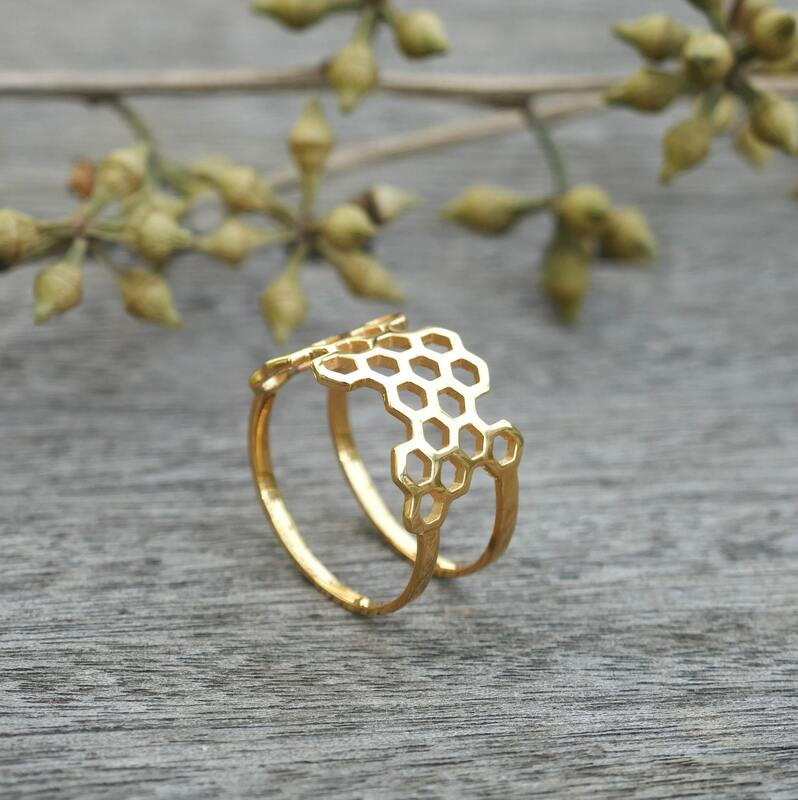 It is inspired by nature and its geometry and could be worn in two different ways. 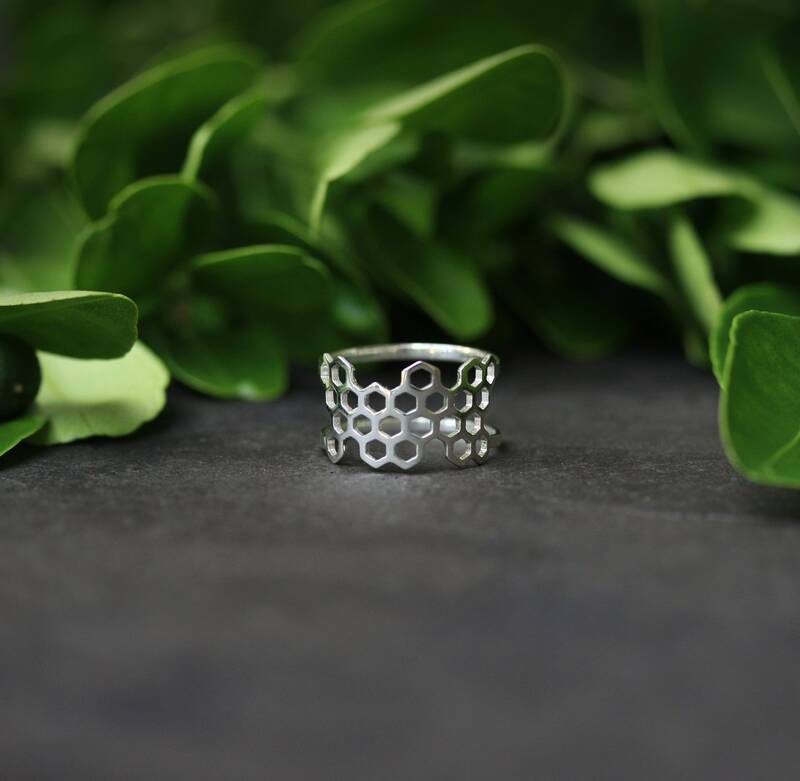 It is stunning in its simplicity and is so comfortable - you won't even notice it on your finger. 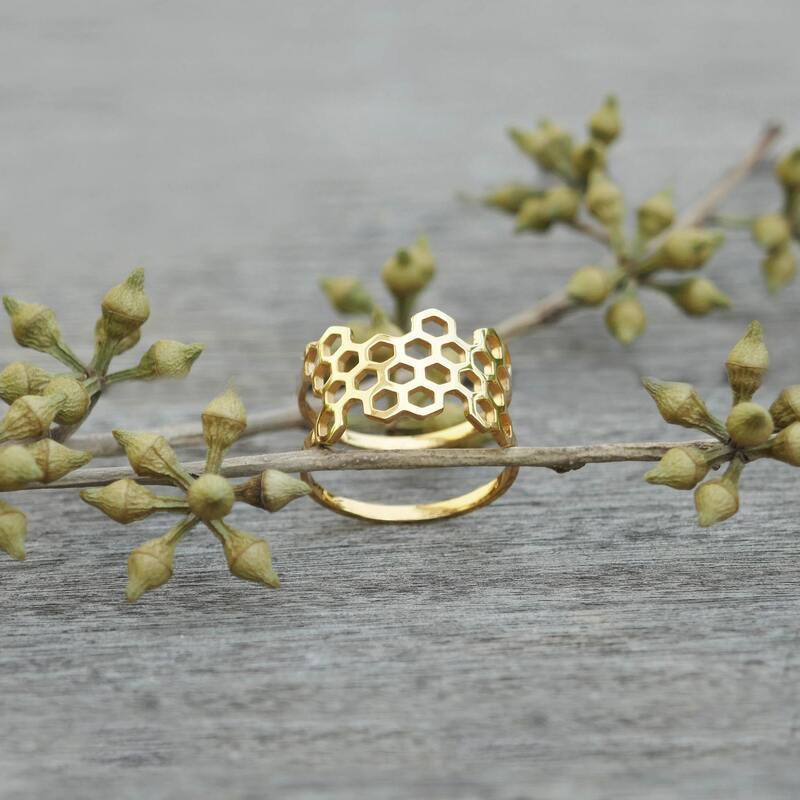 The ring is 3d printed in in 925 Silver or Brass with 18K gold plating (0.25 microns).